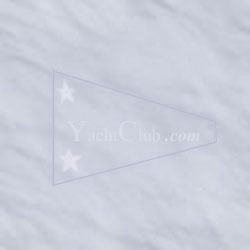 The articles are important when a yacht club handles monies and properties for others, the purpose being to protect the individual members from personal liability for debts of the club. The articles define the relationship of the club to the yachting fraternity and contain the information necessary for a secretary of state to approve the application. The articles contain the name of the club, its purpose, the number of proposed officers and directors, the names of members who are incorporators, and other information. Description of governing body - Terms of office. Election procedures - Filling of vacancies - Removal from office. The bylaws describe the relationship between the members and the working groups within the club. Bylaws should be flexible and simple. Privileges, responsibilities, special rights, dues. When, Frequency, how called and by whom, special meetings, quorums, etc. OFFICERS - how elected, their duties. How selected, nomination and election procedure. Small Groups formed to solve problems or handle Club related Tasks.